The small chapel located at the highest point on Saint-Malo rock was consecrated in 1621. It replaced an older building dating back to the 15th century and bears the name of the first hermit who arrived at this location in the 6th century AD. We do not know anything else about this person other than the fact that according to local tradition he is considered to be the first inhabitant of this location and consequently he welcomed Saint Malo upon his arrival from what is now Great Britain. According to an old account of the life of Saint Malo (9th century), he died at Saintes (Charente-Maritime). His relics were brought and placed alongside Saint Aaron’s relics. Saint Malo was considered by the Bretons to be one of the seven saints who founded Brittany, and in honour of whom the traditional Tro-Breiz or tour of Brittany pilgrimage is held. 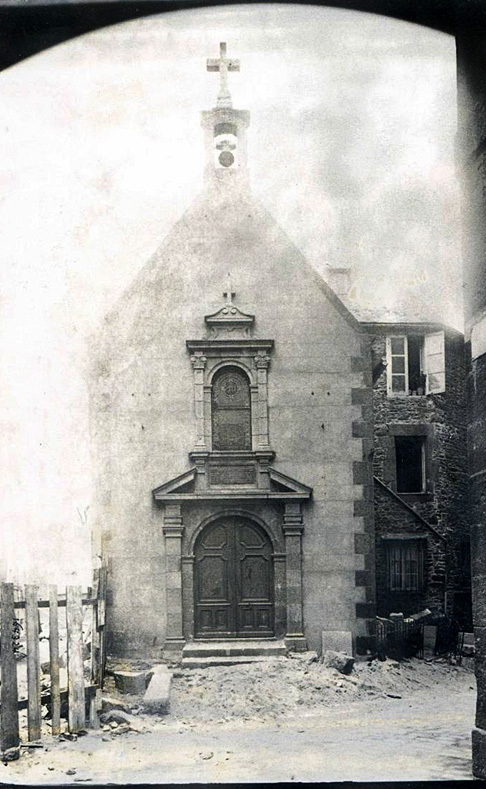 In 1902, the chapel was surrounded as a result of extensions to the Collège (Lycée Institution de Saint-Malo – La Providence). People still go there for certain religious ceremonies.